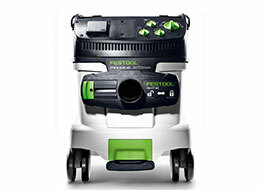 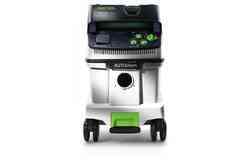 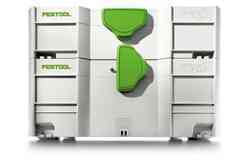 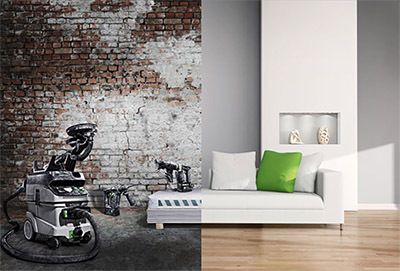 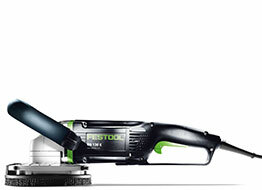 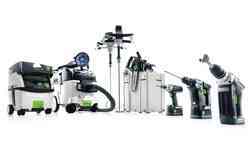 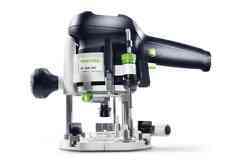 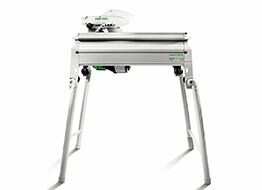 The Festool system for professional renovation. 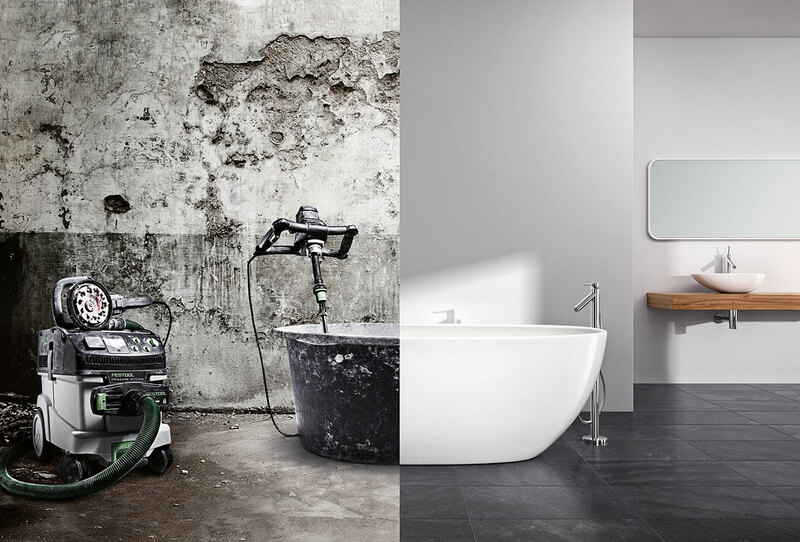 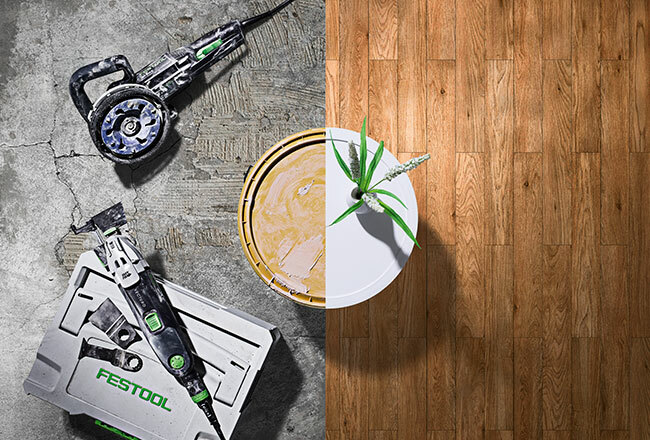 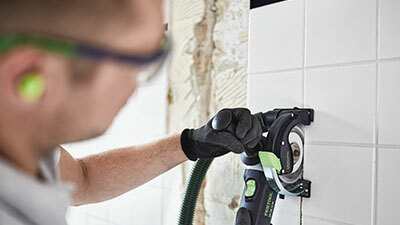 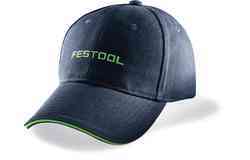 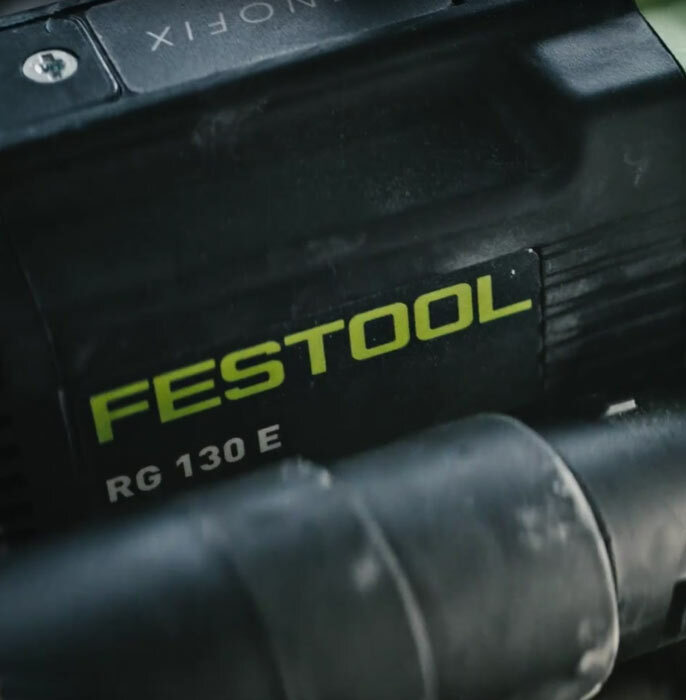 Festool tools spare your customers the unpleasant conditions that normally come with a major bathroom renovation – and they give you the power you need to achieve results efficiently and effortlessly. 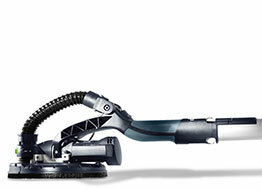 For example, renovation routers for extremely powerful and fast removal of old surfacing. 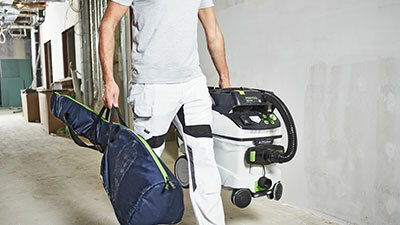 Typically, the solution to every application involves combining specially coordinated systems to create a dust-free and healthy working environment. 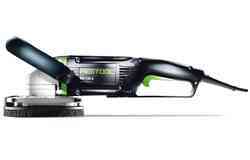 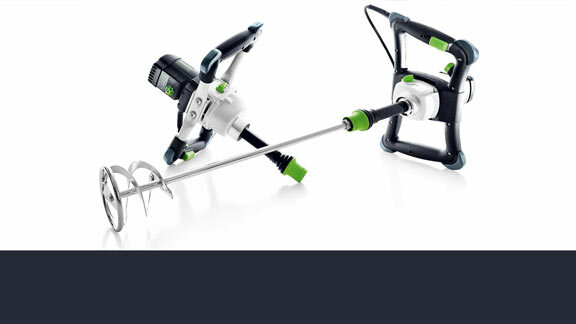 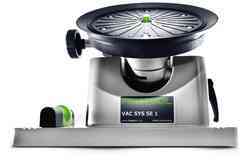 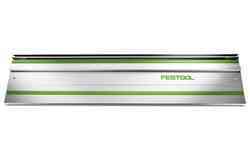 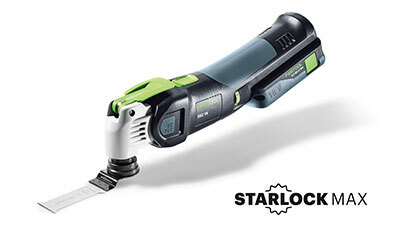 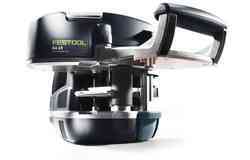 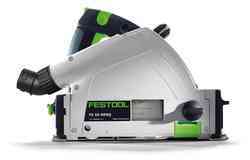 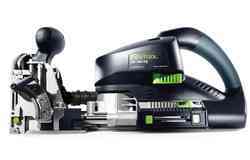 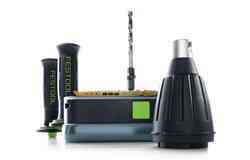 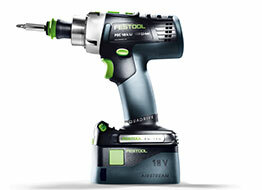 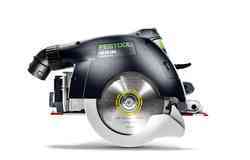 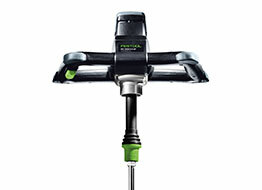 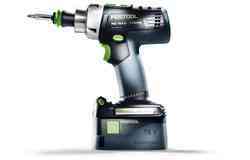 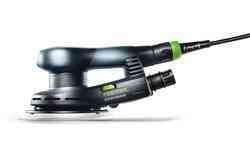 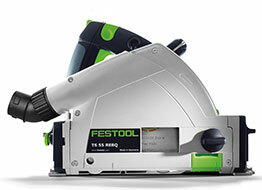 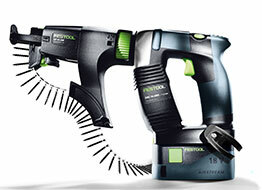 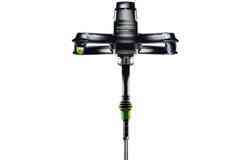 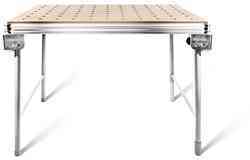 Festool tools are real pacesetters in custom plasterboard fitting. 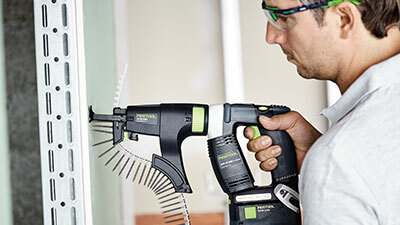 With innovative details such as the DURADRIVE plasterboard screwgun's start/stop function for time-saving autofeed screwdriving, and greater performance from every battery charge. 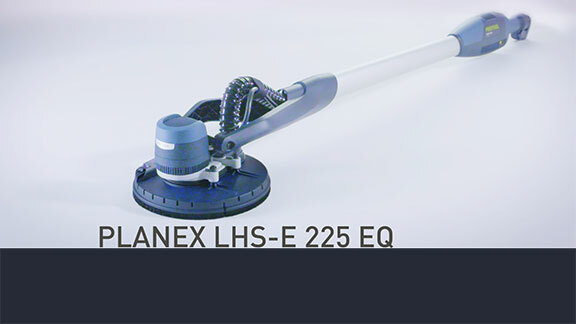 Or the PLANEX long-reach sander's sophisticated attachment systems, which ensure shorter set-up times and allow the machine to be quickly adapted to various ceiling heights. 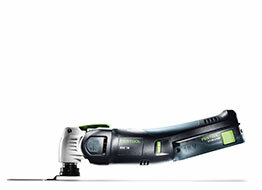 Ground floor, first floor, second floor – this is where the 18 volt system can demonstrate its full strength. 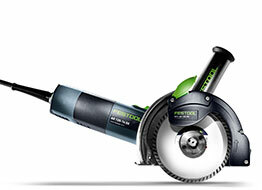 The heart of the tool is the brushless EC-TEC motors. 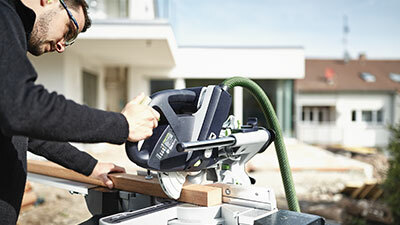 They enable a particularly compact and simple design for effortless work. 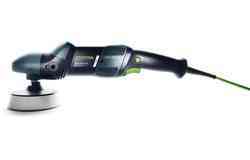 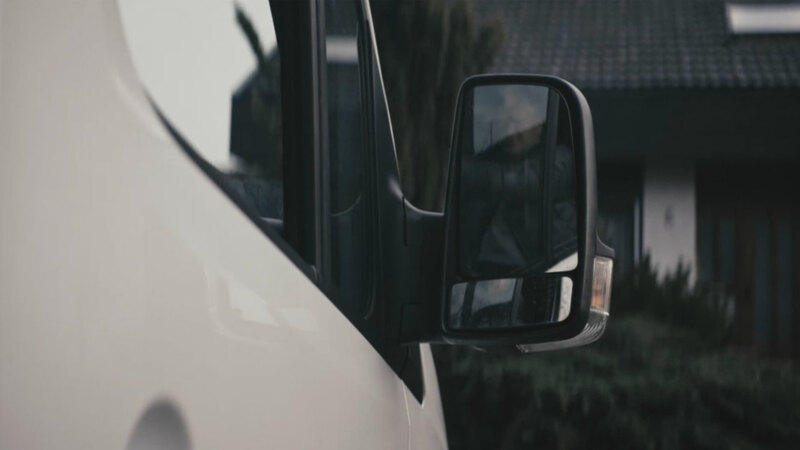 At the same time, they are wear-resistant and their intelligent power electronics ensure enhanced drilling and screwdriving performance from every battery charge. The floor forms part of the whole room concept. 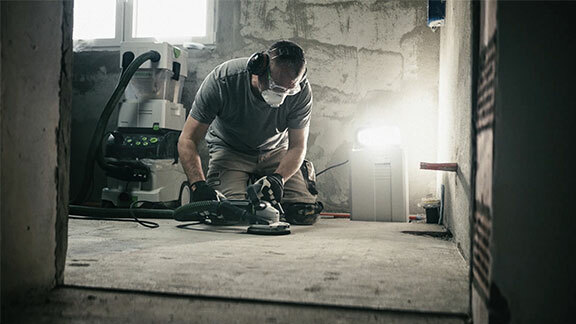 Besides its effect on the room, the functional aspects of flooring are also important; it needs to withstand a lot of use, from the very first day and for many years after that. 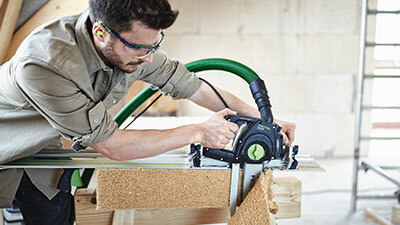 This is the same philosophy on which we base our tools. 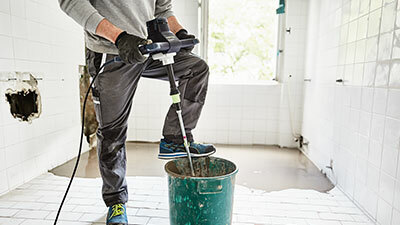 The Diamond grinder RENOFIX RG 130 E has a folding segment that allows grinding to go right up to the walls. 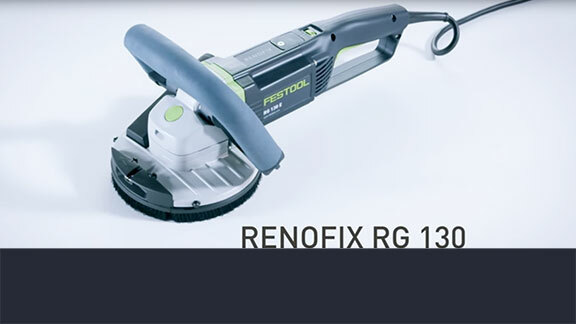 the Diamond grinder RENOFIX RG 130 E for quickly stripping concrete, screed and adhesive residue over large areas. 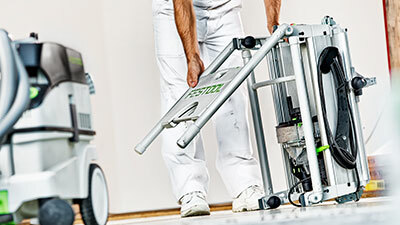 Cutting system DSC-AG plus guide rail for precise and low-dust cutting of tiles and natural stone. 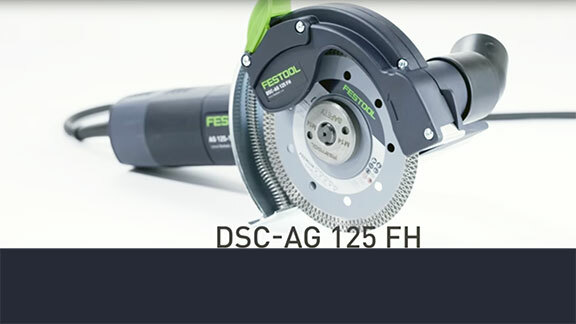 With the Diamond cutting system DSC-AG 125 for clean and accurate work up to a cutting depth of 27 mm. 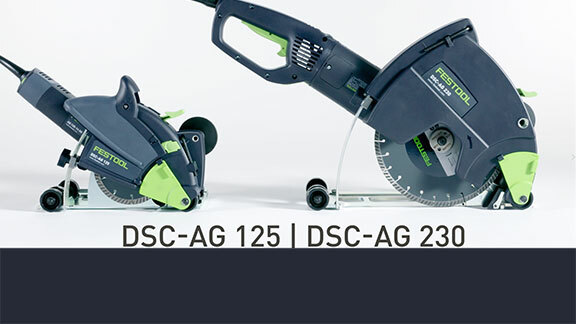 the plunge cut function of the DSC AG 125 enables cutting to start at any point in the floor. 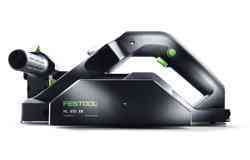 The ErgoFix height adjustment can be individually set to suit your height. 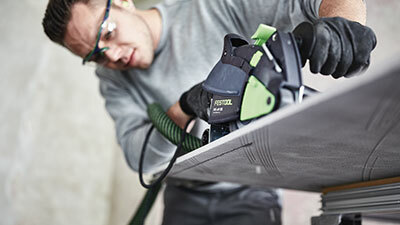 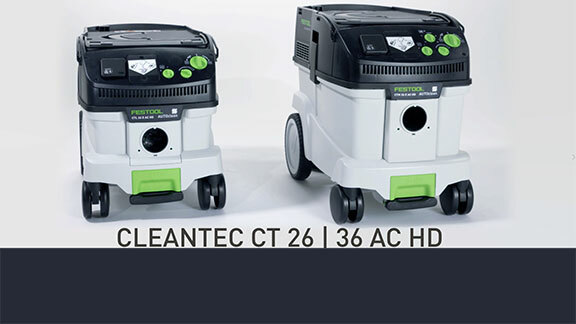 Mobile dust extractors take in up to 99.995 % of the dust which occurs when sanding, sawing or routing. 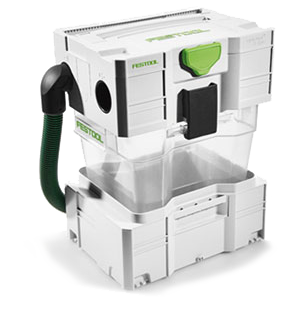 In short: the dust which would normally go straight into your lungs now lands directly in a generously sized collection container. 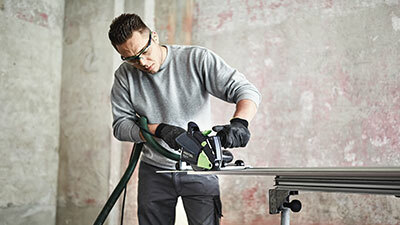 And that’s also good news for your customers. With a working environment that is as flawless as your work result, your customers are also much more likely to recommend you to others. 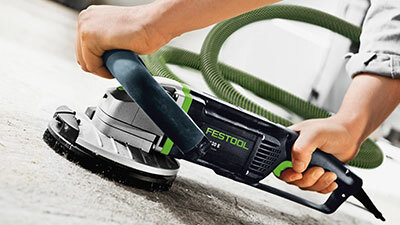 A successful combination of precise, easy-to-manoeuvre angle grinder and efficient dust extraction system. 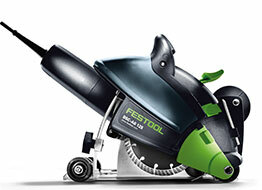 Ideal for working on tiles and flags, e.g. 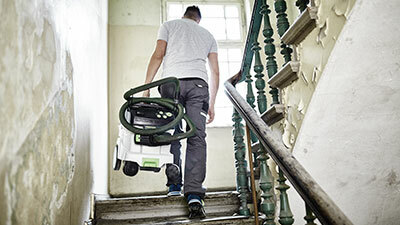 for cut-outs, trimming skirting and for restoring damaged tiles or flags. 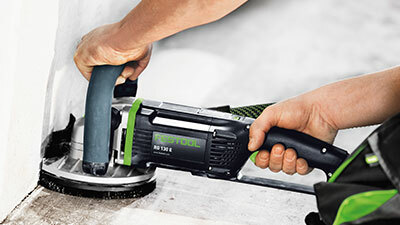 A successful combination of precise, easy-to-manoeuvre angle grinder and efficient dust extraction system. 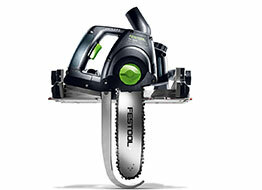 Ideal for cut-outs, e.g. 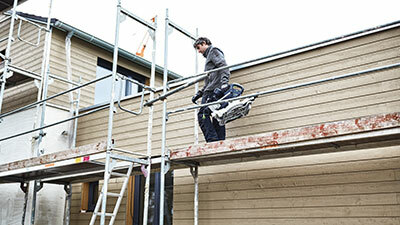 in plasterboard panels. 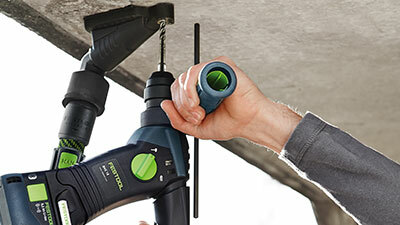 A successful combination of precise, easy-to-manoeuvre angle grinder and efficient dust extraction system. 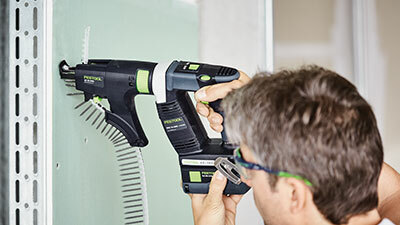 Perfect for restoring cracked areas and cutting expansion gaps. 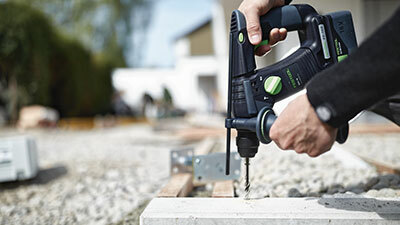 the DURADRIVE, at only 1.9 kg, provides a high-speed fastening capacity. 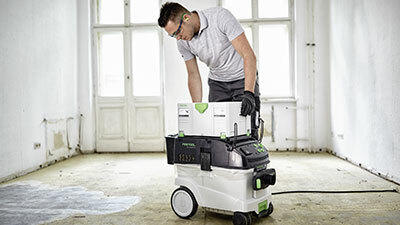 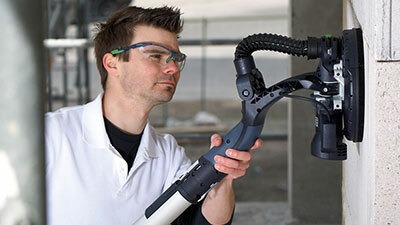 With the StarlockMax tool holder, the positioning and dust extraction accessories – the VECTURO OSC 18 is the intelligent system solution for the highest demands for performance, comfort and precision for dust-free sawing, scraping and cutting. 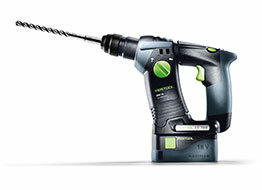 Cordless hammer drill BHC 18 with high impact energy and integrated vibration damping. 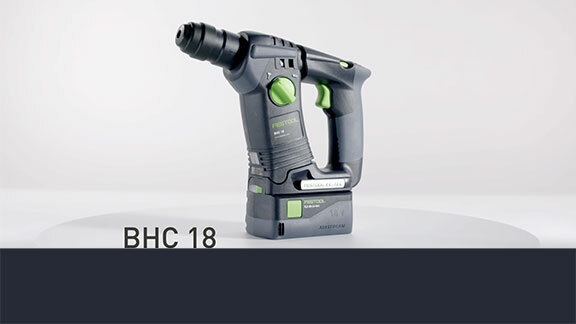 Cordless hammer drill BHC 18 with outstanding ergonomic design, compact C model and even weight distribution. 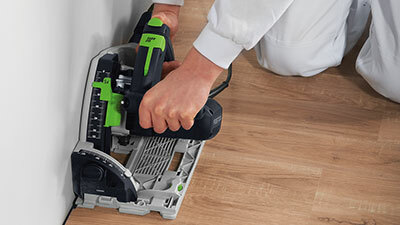 Faster, stronger removal of up to 30 kg per hour using robust, two-speed gears and adjustable working lengths – the long-reach sander PLANEX LHS 225. 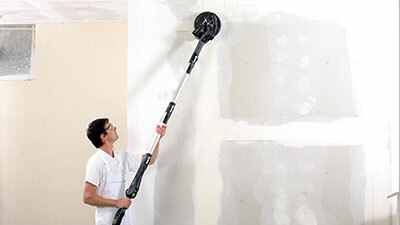 Drywalling has never been so easy. 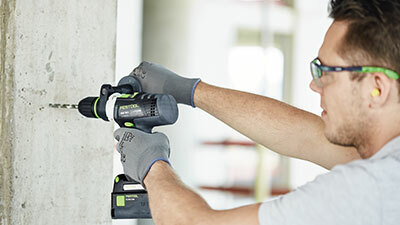 The new PLANEX easy long-reach sander is the lightest long-reach sander with direct drive on the market: Maintenance-free, light and easy to use. 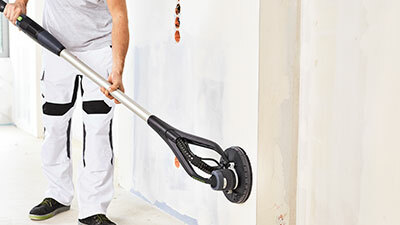 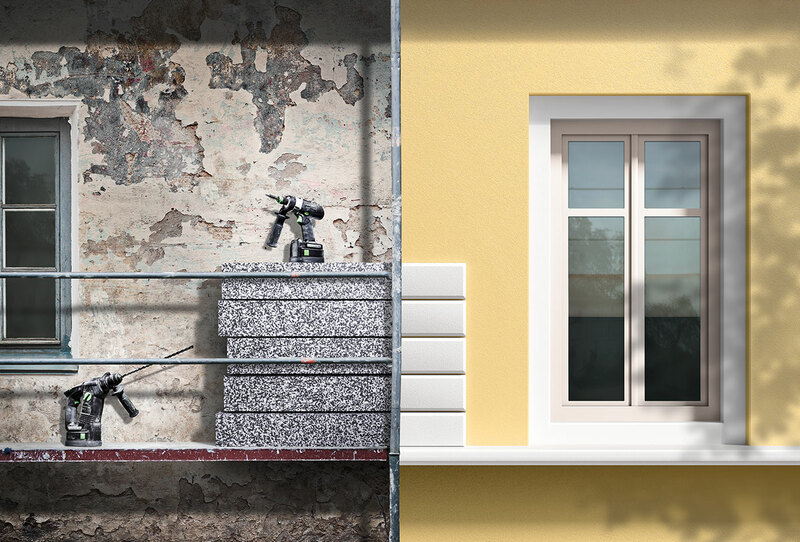 For drywalling applications, it enables rooms to be prepared more easily and more quickly. 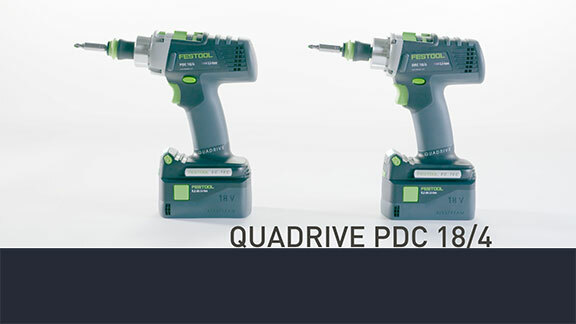 The cordless hammer drill QUADRIVE PDC 18/4 comes with four gears to perfectly suit every task in hand and a FastFix interface for quickly changing from drilling to angle driving in seconds. 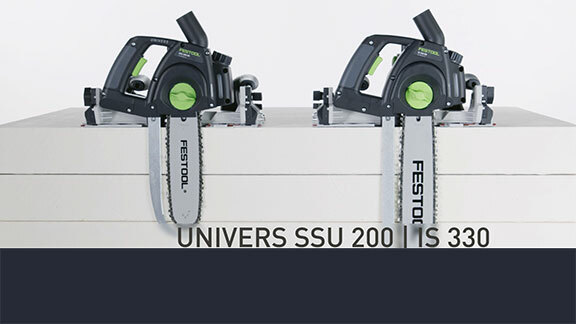 Sword saw Univers SSU 200 EB with a 200 mm cutting depth for accurately cutting pressure-resistant insulating materials. 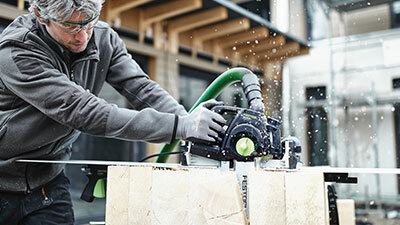 The TS 55 R circular saw with ultra-slimline housing and new guide wedge is now more versatile, safe and precise than ever. the control elements are clearly arranged, the most important operating elements on the CS 50 are integrated in the multifunction handle. 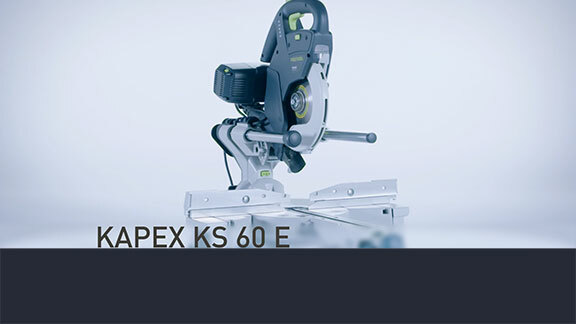 All of this can be found in the new KAPEX KS 60 sliding compound mitre saw. 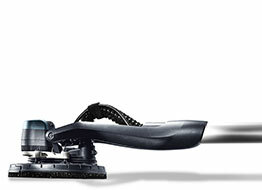 Evident with its low weight and ergonomic handles. 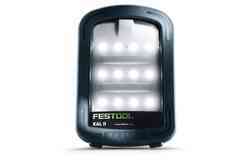 Visible in its compact design and the LED spotlight and bevel. 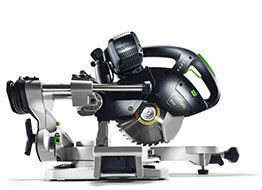 Demonstrated by the groove function and two-sided inclination angle of 47 and 46 degrees and manifested by an overall concept with one goal only: To inspire you from the very first cut.